COD AU GRATIN STYLE O MEU LAR. 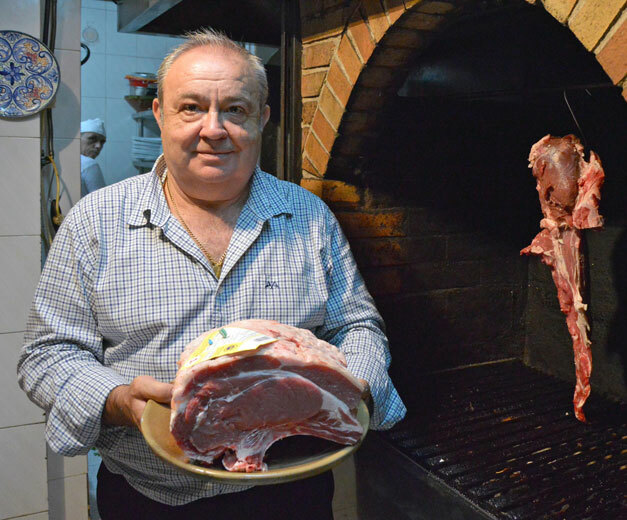 ENTRECOTE OF T. GRILLED GALICIAN (500 GR). T-BONE STEAK T. GRILLED GALICIAN ( 1 KG ). AGED BEEF SIRLOIN ( 500 GR). Antonio: After arriving in Barcelona from their native Galicia more or less in the year 1970 He began to discover the world of the restoration. Children. In the year 1989, Antonio opened the Brasserie "O Meu Lar". A Galician Brasserie to 15 MN from the Centre of Barcelona, in the District of Poblé SEC, where in more than 20 years of dedication and good work,This family business has become a name of reference in the sector (one of the Galician most popular in Barcelona restaurants).